← Testimonial – “I couldn’t be happier with Teddy!! Congratulations to Gus, a very cute and active German Shepherd puppy and his owners Bruce and Amanda Herrick for passing the American Kennel Club’s (AKC) S.T.A.R. (socialization, training, activity and a responsible owner) Puppy Program. Gus was evaluated by Michael Burkey of Michigan Dog Trainer, a certified AKC STAR Puppy evaluator on February 8, 2012 in Plymouth, Michigan. Teaching owners how to be responsible dog owners. It’s a non-competitive program open to mixed breed and pure breed puppies under one year of age. Puppies and owners are evaluated during the course as well as a final evaluation as to the owners’ knowledge of raising a puppy, the puppy exhibiting non aggression, and the team demonstrating puppy canine good citizen behaviors (puppy obedience). 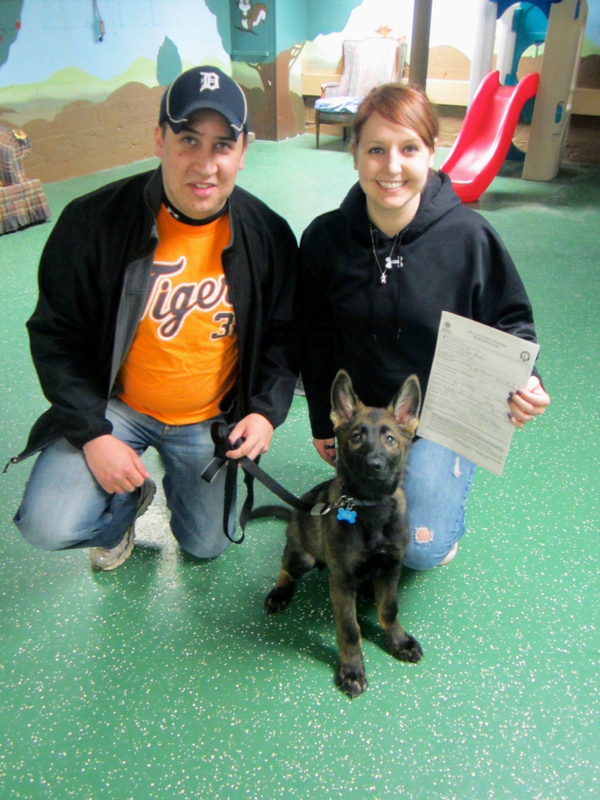 This entry was posted in Puppy S.T.A.R.S., Uncategorized and tagged American Kennel Club, Canine Good Citizen, dog, dog training, German Shepherd, German Shepherd dog, michael burkey, Michigan, Michigan Dog Trainer, Plymouth Michigan, puppies, puppy obedience. Bookmark the permalink.